For some time I have been going to Rigbys over on Leeson St. Dublin for lunch, they do fantastic sandwiches which I have in the past reviewed here. 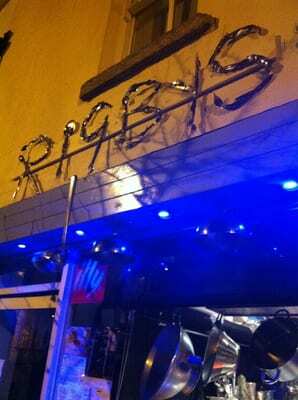 However for a long time I have been meaning to go to Rigbys for dinner, I finally got my chance last Thursday evening. I made my reservation via Twitter which was accepted in a matter of minutes. What I love the most about FIFO is its intimacy there must be only 6 tables in the restaurant. I also love that the menu changes on a regular basis which gives James (the head chef and owner) the chance to keep the menu always seasonal. Myself and two friends made our order after very short period of waiting, I decided upon the foie gras terrine, figs & pulled ham for starters and then for mains seared Tipperary duck breast with potato rosti & swede confit. I have to say FIFO is seriously fast, our starters arrived 5 minutes after ordering. My foie gras terrine was delish even the salad was damn good, I was very happy only wish I had more foie gras. My starter was top drawer food, and in no time the mains were coming! 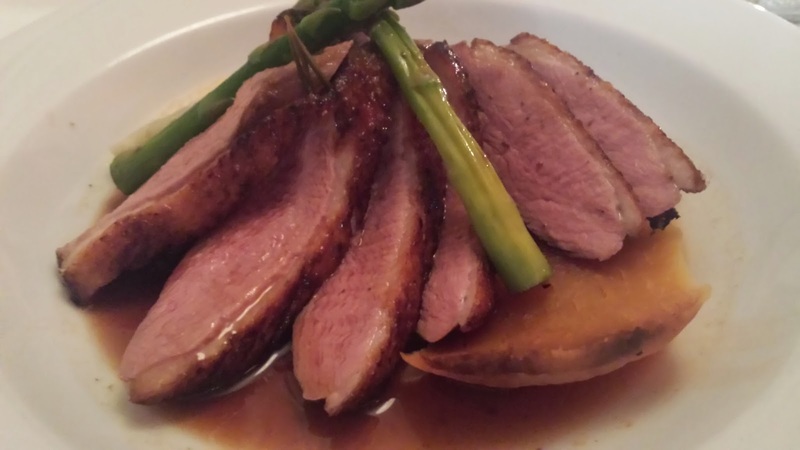 The duck was stunning, I made the right choice, so beautifully cooked. The rosti was a good addition as was the swede confit which I wasn't expecting to be as good as it was. The whole meal was stunning and I was so happy with the experience at FIFO. I love the restaurant James has here, the food he cooks is cracking and his interaction from the open kitchen to the customers is excellent. I highly recommend you pay FIFO a visit you will not be disappointed. Thanks for reading and tell the man himself I sent you!